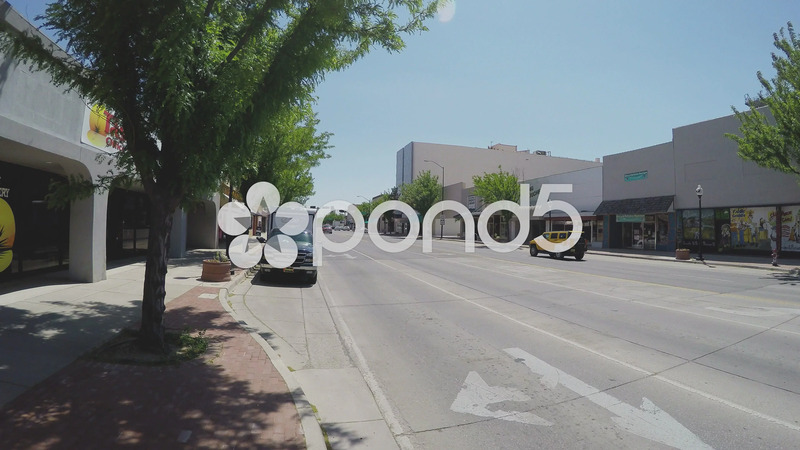 Description: Shot of the main street business district with shops in Roswell New Mexico in 4K format. Clip provides a sidewalk view looking down the street lined with small businesses and buildings. Part of a series of clips by ChromaVid featuring building and business stock video.